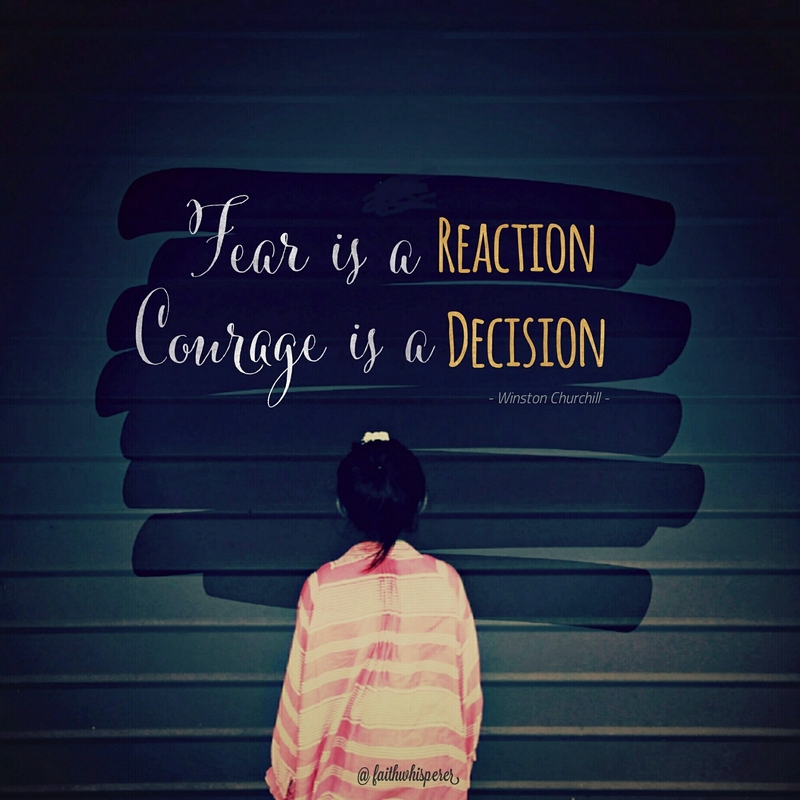 Fear is a reaction, courage is a decision -Winston Churchill. Now as Moses has passed away, Joshua has to take the leadership. Suddently, the burdens and responsibilities of a leader fall on his shoulders. Being a leader is new to him. He must decide everything from now on. Aside from he was a good and obedient servant to Moses. This change somehow makes him fear. Wonders how things will go, what he could do for the people, will the people obey him, compares himself to Moses which was a great leader and etc. But his faith in God words helps him. God makes a promise to be with him, never leave or forsake him as He was with Moses, and He command him to be strong and of good courage (Joshua 1:6 (NKJV). Original: châzaq means to strengthen, prevail, be strong, become strong, be firm, grow firm, be resolute; hence to seize, be strong (figuratively courageous, causatively strengthen, cure, help, repair, fortify). Original: âmats means to be alert, physically (on foot) or mentally (in courage): be courageous (of good courage, stedfastly minded, strong, stronger), establish, fortify, harden, strengthen (self). Faith is believing the unseen. Faith make us believe that we are strong and courageous when things turn bad. We don’t give up to obstacles. Instead, obstacles are used to train us to maintain our strength and courage. Today, lets give up every kind of fear we have. Fear of the future, fear that you are not good enough, fear that people won’t approve of you, fear you can not make it, fear nobody wants you, fear you won’t find a decent job, fear fear fear… Don’t let it consume you. God Promises only can be fulfilled when we are strong and courageous enough to believe. So, what is your decision today?